‘Work quickly. Don’t stop for anything but the essential. [. . .] Make the draperies move, don’t let them stop. Keep the flow going.’ This is Robert Earl Henri - born 150 years ago today - writing in his diary near the end of his life. Although a first rate artist, and the leader of the Ashcan School of realist painting in the US, his chief claim to fame is as one of the most influential art teachers of the period. 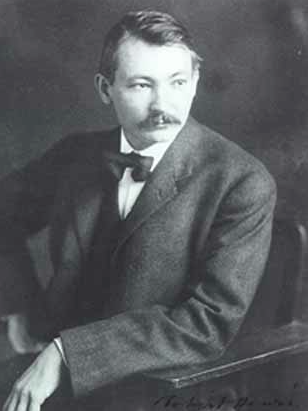 Robert Henry Cozad was born on 24 June 1865 in Cincinnati, Ohio. His father, a real estate developer, is credited with founding the towns of Cozaddale, Ohio, and Cozad in Nebraska, but in 1882 he killed a rancher in a land dispute. Although Cozad was cleared of wrongdoing, the family fled to Denver, where they changed their names, the father becoming known as Richard Henry Lee, and his sons posing as adopted children - Robert under the surname Henri (pronounced ‘hen rye’). The family continued to move around, but, by 1886, Henri had enrolled in the Pennsylvania Academy of the Fine Arts. Two years later, he travelled to Europe, studying at the Académie Julian and the École des Beaux Arts in Paris, and embracing Impressionism. He returned to the Pennsylvania Academy, and, in 1892, began teaching at the Philadelphia School of Design for Women. While still in Philadelphia, Henri’s vigorous ideas - moving away from Impressionism and towards a realistic portrayal of American cities - began to attract a group of followers, including illustrators for the Philadelphia Press (known as the Philadelphia Four, including John Sloan). Having married Linda Craige, one of his students, she and Henri lived in Paris in 1898-1900, Henri exhibiting at the Salon (Woman in Manteau and La Neige). On returning to the US, Henri moved to teach at the New York School of Art, where he counted Joseph Stella, Edward Hopper and George Bellows among his students. Linda died in 1905, and Henri married Marjorie Organ, a young cartoonist for the New York Journal, three years later. In 1906, Henri was elected to the National Academy of Design, but when painters in his circle were rejected for the 1907 exhibition, he left to organise a rebel show, entitled ‘The Eight’ (involving himself, the Philadelphia Four, and three other artists) at the Macbeth Galleries. With Sloan’s help, the exhibition went on to travel to several more cities, attracting significant attention. By this time, Henri and his followers - the loose-knit Ashcan School - were depicting urban life at its toughest and most exuberant, and offending conservative mores. In 1910, with Sloan and Walt Kuhn, Henri organised the Exhibition of Independent Artists, modelled after the Salon des Indépendants in France; and in 1913, Henri exhibited at the famous Armory Show, the US’s first large-scale introduction to European Modernism. 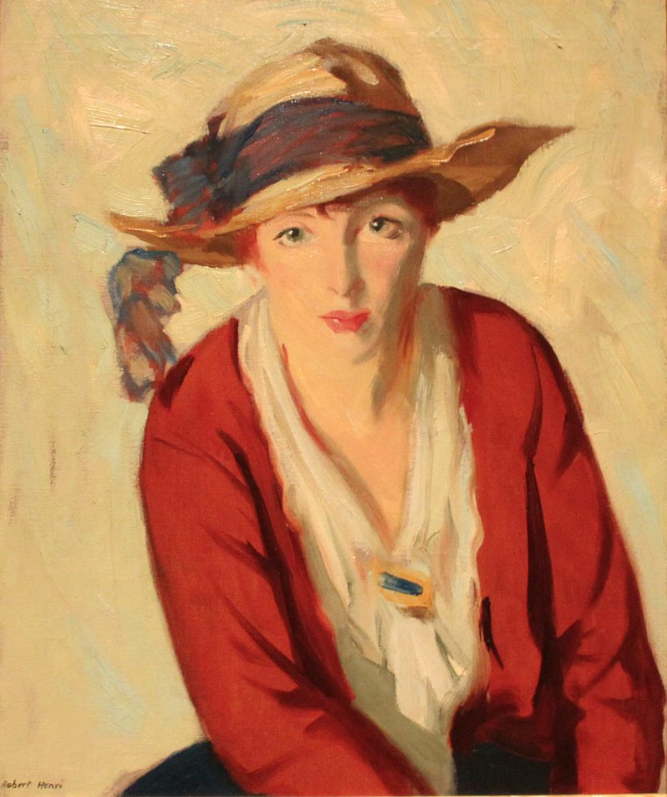 However, already by this time, Henri had come to focus his own painting more and more on portraits (such as The Beach Hat) - as acknowledged, for example, by this article in The American Magazine of Art. Henri’s ideas on art were collected by Margery Ryerson, a former pupil, and published as The Art Spirit (Lippincott, Philadelphia) in 1923 - a modern edition can be previewed at Googlebooks. In 1929, Henri was named as one of the top three living US artists by the Arts Council of New York. He died just a few months later, and was honoured with a memorial exhibition of 78 paintings at the Metropolitan Museum of Art. For more information consult Wikipedia, the National Gallery of Art, Sullivan Goss, or Traditional Fine Arts Organization. For a list of pictures available to view online see Artcyclopaedia. Henri kept extensive diaries during long periods of his life, and these were made available to William Innes Homer (with the assistance of Violet Organ) for his 1969 book Robert Henri and his Circle (Cornell University Press). Homer enriches his text with frequent quotes from Henri’s diaries (which otherwise have not been published). Apart from keeping a diary himself, Henri figures extensively in the published diaries of John Sloan: John Sloan’s New York Scene, edited by Bruce St. John and published by Harper & Row in 1965. See Googlebooks to preview a modern edition of Sloan’s diaries. Here, though, are several extracts from Henri’s diary, as taken from Homer’s biography.